Estes Park Fishing is an exciting and endless sport. Fish along a wild river, high alpine lake, or a private pond. Don’t wait to catch your tasty trout! Guided fly fishing within Rocky Mountain National Park, and many other Colorado rivers like the Cache La Poudre, and Big Thompson River. 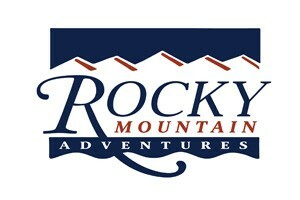 Located in Estes Park, offers guided fishing tours. Open seven days a week. Shop has a varied of fishing merchandise and fishing licenses. Kirks Flyshop will take you fly fishing for the day, overnight backpacking, and even go on horseback & llama pack fishing trips! Gear rentals too. Lake Estes is right in Estes Park, surrounded by exquisite views of the Rocky Mountains. Marina/Boat Launch: Lake Estes Marina is on the lake’s northern side at 1770 Big Thompson Ave.
Boat Restrictions: Motorized fishing boats allowed. 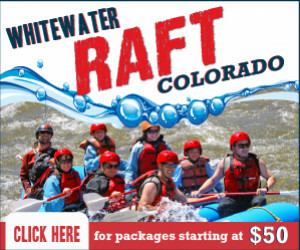 Rentals available at Lake Estes Marina. Fishing: Fish from a boat or shoreline. Catch rainbow or brown trout, Kokanee, Yellow Perch, and Walleye. The marina sells bait and temporary out-of-state fishing licenses. This is by far one of the most beautiful high alpine lakes in Colorado. Hallet Peak and Flattop Mountain reflect in its water. Location: Take US 36 through Beaver Meadows entrance of Rocky Mountain National Park. Go left on Bear Lake Road. From Bear Lake Trailhead, hike to Dream Lake. Trail Difficulty: Easy out-and-back. 1.1 miles one-way. Seasons: Year round. Summer season is usually June-October. Camping: No campsites on or near the trail to Dream Lake. There are other backcountry and drive-in campsites in Rocky Mountain National Park. Fishing: Catch-and-Release. Barbless hooks. No bait. Trout swims these waters, including Greenback Cutthroat Trout. Colorado Fishing license required. Entrance fee for Rocky Mountain National Park is $20. This lake is in the heart of Rocky Mountain National Park and is easy to access. You’ll catch some of Colorado’s tastiest fish in these waters. Location: Take US 36 through the Beaver Meadows entrance of Rocky Mountain National Park. Go left on Bear Lake Road. Turn left on Sprague Lake Road. Continue to the parking lot and picnic area. Trail Difficulty: Easy 1-mile loop. Wheelchair accessible. Camping: Sprague Lake Backcountry campsite is nearby, and Glacier Basin Campground is to the north. Fishing: You’ll find Brown, Brook, Rainbow, and Cutthroat. Colorado fishing license required. Entrance fee for Rocky Mountain National Park is $20. Take North Fork Trail over the meadow and down to the edge of the North Fork Big Thompson River. Location: Enter Estes Park on US 36. Go north on US 34 (E Wonderview Ave). Turn right on MacGregor Ave (CR 43). Turns into Devils Gulch Road. Go through Glen Haven. 1.9 miles after Glen Haven turn left on Dunraven Glade Road. Continue to Dunraven Trailhead. Seasons: Summer season is usually June-October. Rapids: Run-off can be large in spring and summer. Fishing: Fish close to edges or behind boulders where the Browns, Rainbows, and Cutthroats swarm. I am looking for a Fishing guide. 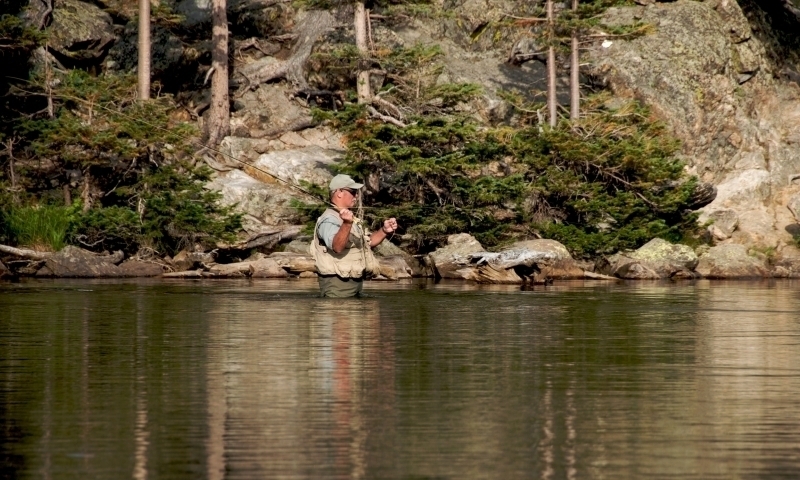 You will find a number of friendly and patient fishing guides in Estes Park. Contact them today!